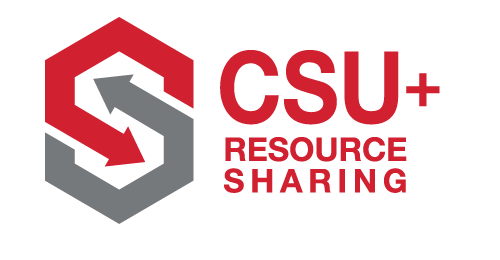 CSU+ is a free interlibrary loan service students, faculty and staff may use to borrow books that are checked out or not available at the J. Paul Leonard Library from one of the 22 other campuses of the California State University. Books are usually delivered within 2-4 days. You first need to login to OneSearch with your University ID and password to use CSU+. If a book or media item you’re searching for is not available at our Library but is available at other CSU libraries a link to “Request from CSU Libraries CSU+” will appear under "In the Library." Books and other print material, as well as media may be be requested. Each CSU library may limit the specific items they lend, so in some cases OneSearch may allow CSU+ requests for items the owning library does not lend. If that occurs, please request the item through ILLiad. Most items are delivered in 2-4 days. You'll be notified when the item has arrived and is ready to be picked up at the Book Checkout & Pickup desk on the first floor. CSU+ books will be on the hold shelf for 7 days after delivery, after which they will be returned to the owning library if not picked up. 60 day loan period. No renewals. $90 lost book fee.